this margin but I cannot find where it is set? when I run it (see image two configeditornoinset.bmp). Sorry the images were attached in the wrong order. Please go by image name? components. It will look much better. JPanels they contained. Not sure what was going on there?!? 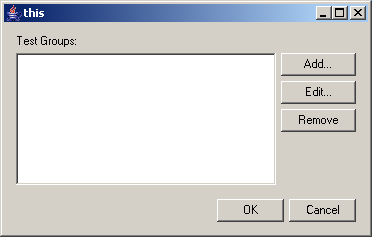 "screenshot.png" show the dialog in the final state. "jformdesigner.png"
I must try that Eclipse editor? It looks pretty good. application. Check it out yourself at www.jformdesigner.com . I gotta plug this tool, I really have enjoyed working with it. It's what the IDEA GUI builder should have been. In a perfect world, JetBrains would integrate the JFormsDesigner into IDEA. I just downloaded this and my first impressions are quite good. I can't wait to play with it some more. It looks way slick. 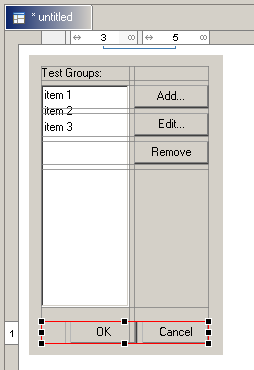 much easier to use and far more intuitive than Idea's GUI designer. JFormDesigner definitely looks great and seems to be more usable than the one, integrated in IntelliJ. It would be extremely good, if JetBrains would spend some effort to let the planned integration (see road map on web site via Plugin ??) become a first priority. I agree that the IntelliJ UI-Designer should have looked like JFormDesigner from beginning.